Please check back details will be announced soon. 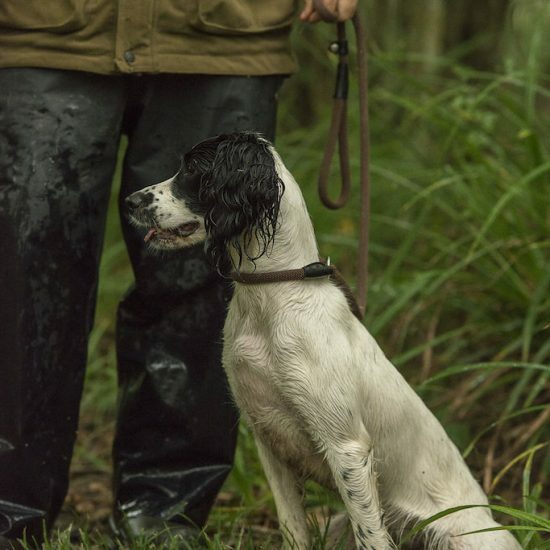 Rules: To be held under Kennel Club Limited Rules and Field Trial Regulations and the rules of The Wiltshire Working Gundog Society. Please note: The trial’s location address, directions, meet and start timings will be sent with the results of the draw. Cheques should be made payable to “Wiltshire Working Gundog Society”. A separate cheque is required for each dog entered. All award winners will receive prize cards and rosettes There will also be an award for “Guns Choice” Spectators by arrangement only with the Field Trial Secretary before the date of the trial. Priority in the draw will be given members who have paid their subscriptions and joined the society before 1st March 2018. If more than one entry is applied for the second will not be drawn until all those seeking one entry have been drawn. Qualification out of Novice stakes. Where the dog drawn to run has qualified for the Championship after entries have closed. Production of a veterinary certificate confirming that the dog is unfit to compete. Production of a medical certificate that the applicant or applicants nominated handler is unable to compete. Entries will not be accepted by e-mail or telephone. Please ensure that the correct entry form is used. An incorrect or illegible entry will be returned. Reserves will be contacted by telephone in order of draw, please give mobile and home numbers on entry forms. If contact cannot be established the offer will be passed onto the next on the list. Acceptance of runs; whilst competitors often submit entries for several field trials, which may overlap, it is not acceptable for them to compete in one trial whilst still retaining an acceptance run in a second overlapping trial as this may deny a run to someone else. Should circumstances so dictate the society, in consultation with the judges, may alter arrangements as necessary. Such changes and circumstances surrounding them shall be reported to the Kennel Club at the earliest opportunity. Substitution of entries will be allowed up to 48 hours prior to the date of the trial provided that the substitution has the appropriate qualification for preference in the draw and is eligible for the stake. Any competitor whose dog is entered at a Kennel Club licensed event should take all reasonable steps to ensure the needs of their dog(s) are met, and should not knowingly put their dog’s health and welfare at risk by ant action, default, omission or otherwise. A breach of this regulation may be referred to the General committee for disciplinary action under Kennel Club Rules and Regulations. Your dog is vulnerable and AT RISK if left in a vehicle in high temperatures and even on days considered slightly warm. Please take care of your dog. If your dog is found to be at risk forcible entry into you vehicle may be necessary without liability for any damage caused. All dogs resident outside of the UK must be issued with a Kennel Club Authority to Compete number before entry to an event can be made. All overseas entries without an Authority to Compete number will be returned to the competitor. The committee shall have the power to refuse an entry for a Field Trial without giving a reason. Your dog is vulnerable and AT RISK if left in a vehicle in high temperatures and even on days considered slightly warm. Please take care of your dog. All dogs resident outside of the UK must be issued with a Kennel Club Authority to Compete number before entry to an event can be made. The committee shall have the power to refuse an entries for a field trial without giving a reason. secretaries of any errors in respect of their dogs name/details in the Running card BEFORE the card is submitted to the Kennel Club. The Kennel Club have had problems with owners not putting the correct registered name of their dog on entry forms, and thus it does not appear correctly on the running card. Winners of trophies are reminded that they are responsible for the trophies safe custody and will have to make good any damage or loss incurred whilst in their keeping. Winners are responsible for engraving and costs, and the safe return of the trophy to the field trial secretary at least two weeks before the date of the relevant trial. A Stake in which dogs have the opportunity of gaining a qualification towards the title of Field Trial Champion (K regs refer) and towards an entry in the Championship or Champion Stake for its breed: in which an entry is open to all dogs of a specified breed or breeds except that such Stakes may not confined to Any Variety Spaniel (except Spaniel (Cocker) and (English Springer). It may be limited to a prescribed number of runners (J4 refers), in which case these shall be decided by a draw and conducted in accordance with Regulation J7.i. and J7.j. so that preference is given to previous performance. A Stake which is open to all dogs of a specified breed or breeds without restriction as to their age, but which may be restricted by any other conditions which may be determined by the society subject to the approval of the Board of the Kennel Club. A Stake which is confined to dogs which have not gained a place which would qualify them for first preference in the draw for Open Stakes. A Stake which is confined to dogs which have not gained a first, second or third in Open Stakes or first, or two seconds in All Aged, Novice or Puppy Stakes prior to the close of entries. Places gained in Stakes confined to Any Variety Spaniel (except Spaniel(Cocker) and (English Springer)) will not qualify the dog for the purposes of Regulation J7.i.